We are (again) in the process of a major furniture move at Fry Lodge. Having moved all of our NY apartment furniture out of storage, we now have a surplus of couches. Luckily Henry’s room is big enough to accommodate one of them. He is pretty excited about his redecorated room. He’s spending a lot of time just hanging out on the couch. 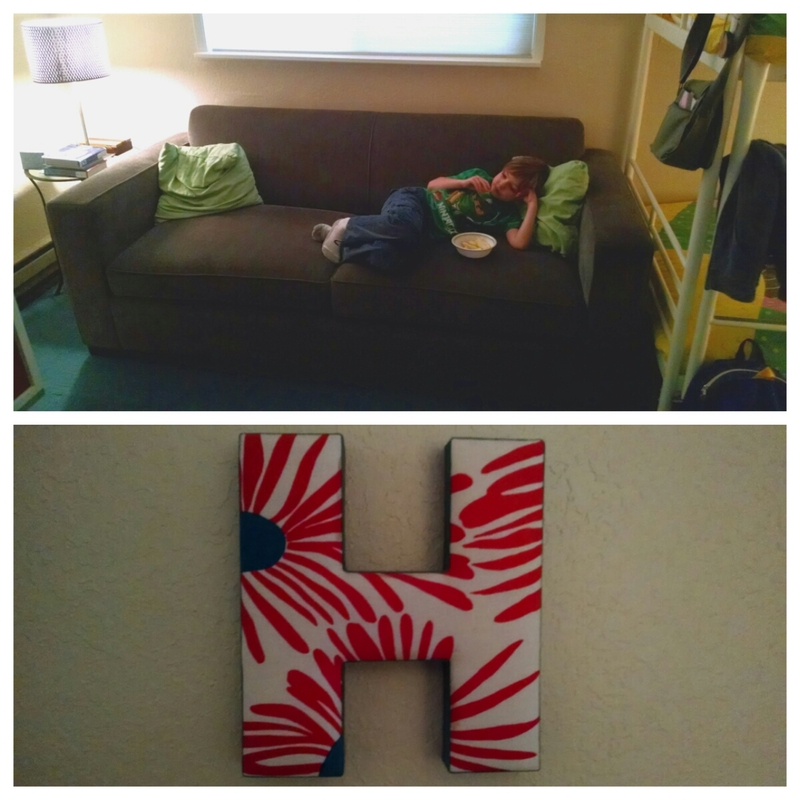 And he’s renamed his bedroom: H Lounge.